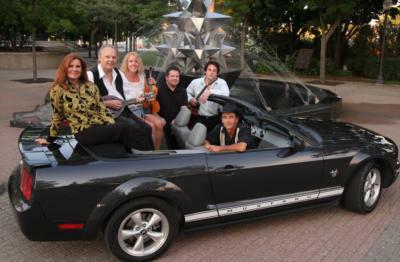 Terrie Lea and the Mustangs is one of the most diverse country music entertainment acts in Michigan. Terrie Lea is the winner of 15 Detroit Music Awards. 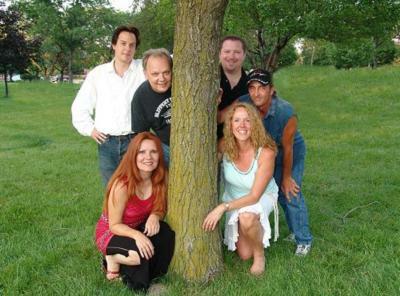 She and the band have been thrilling crowds with years of musical experience in this group of award winning performers, offering a true country music experience. We play "real country" and have the personnel to do it right. Besides Terrie Lea, we have Al Carmichael on guitar who has a gold record to his credit, as well as many other song-writing and guitar-playing awards. Adding another great guitar player, Billy Farris, takes our sound to a level no other band can achieve. Chris Brown on bass is one of the most sought-after bassists in the area. 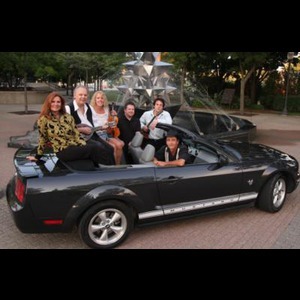 Janel deVries on fiddle, mandolin, and acoustic guitar also blends beautifully with Terrie on harmony vocals. And, Bruce Bedford, the found of the band, has been playing drums with various bands in the Detroit area for over 40 years. Hire this unbeatable combination of musicians and you will not be sorry! Terrie Lea and the Mustangs were absolutely fantastic. They exceded expectations and in my opinion have the finest group of talent in one performing group I have ever hired. We will have them perform often here at the Club. Regards, Nicholas Graczyk-GM, Bloomfield Hills C.C. They performed as they had agreed to and worked with us to fit our schedule of events. Great sound and appearance. Please note Terrie Lea And The Mustangs will also travel to Farmington, West Bloomfield, Southfield, Bloomfield Hills, Davisburg, Orchard Lake, Franklin, Livonia, Redford, Novi, Walled Lake, Birmingham, Detroit, Keego Harbor, Berkley, Northville, Pontiac, Union Lake, Commerce Township, Drayton Plains, Hartland, Huntington Woods, Oak Park, Royal Oak, Troy, Waterford, Wixom, Clawson, Pleasant Ridge, Auburn Hills.